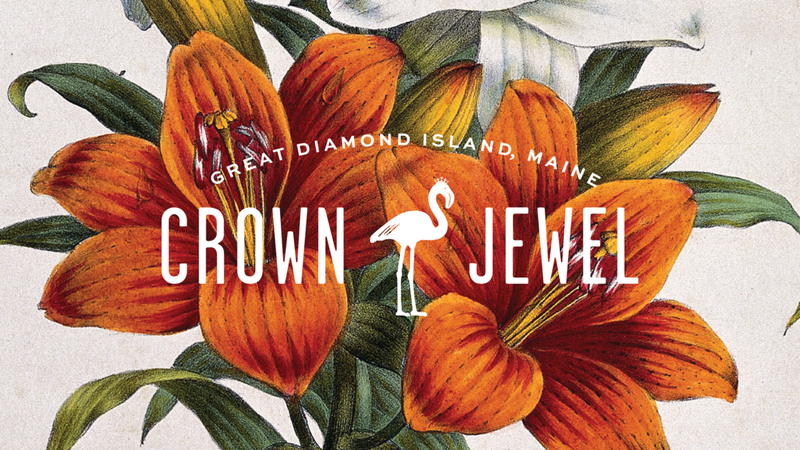 Crown Jewel is a summer island escape off the coast of Portland, Maine. The small restaurant is accessible only by boat, lending it an exotic air that is reinforced by pink and teal hues and floral patterns throughout. 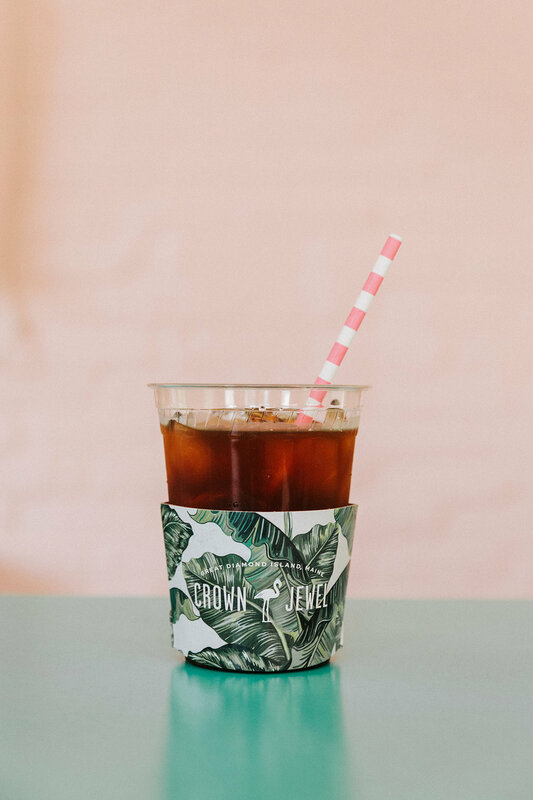 Custom linen-bound menus and touches of gold foil are an elegant counterpoint to compostable paperboard tableware and elaborately garnished house punches, creating an irreverent, fun environment that feels a world away from the city's other fine dining restaurants.